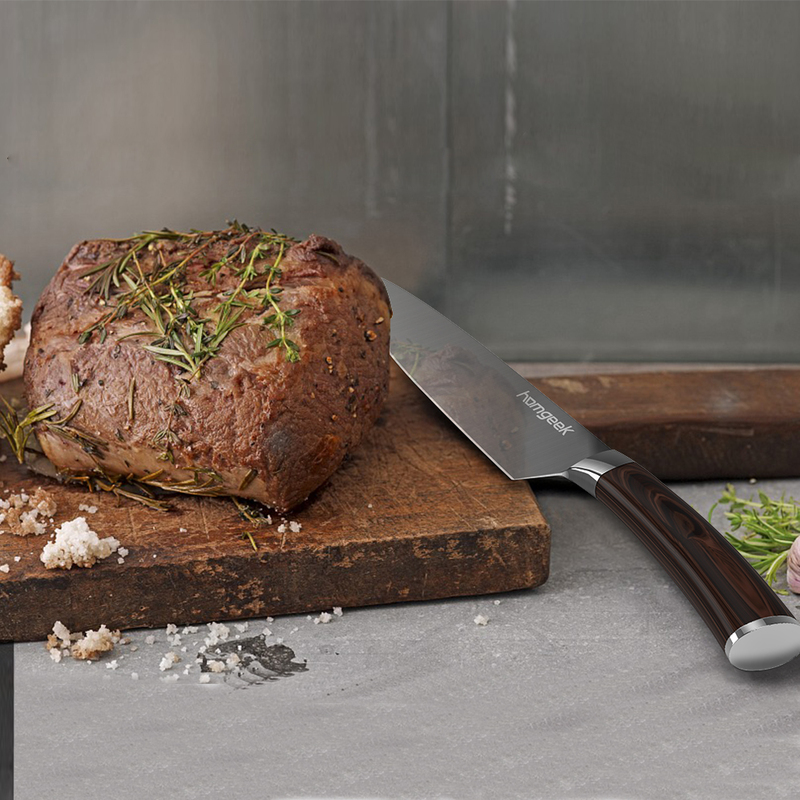 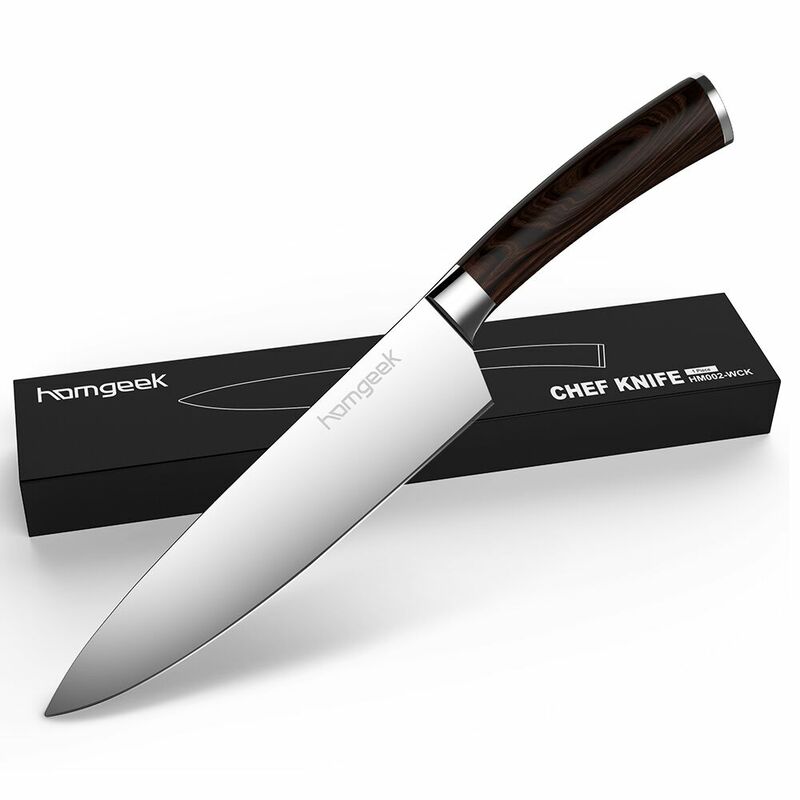 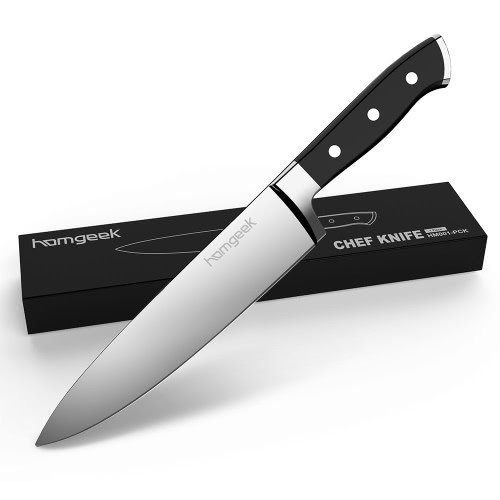 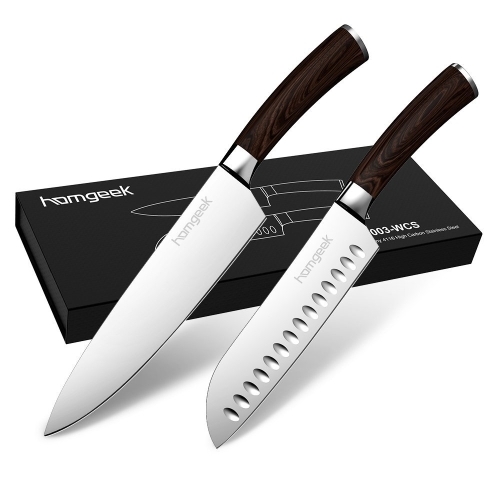 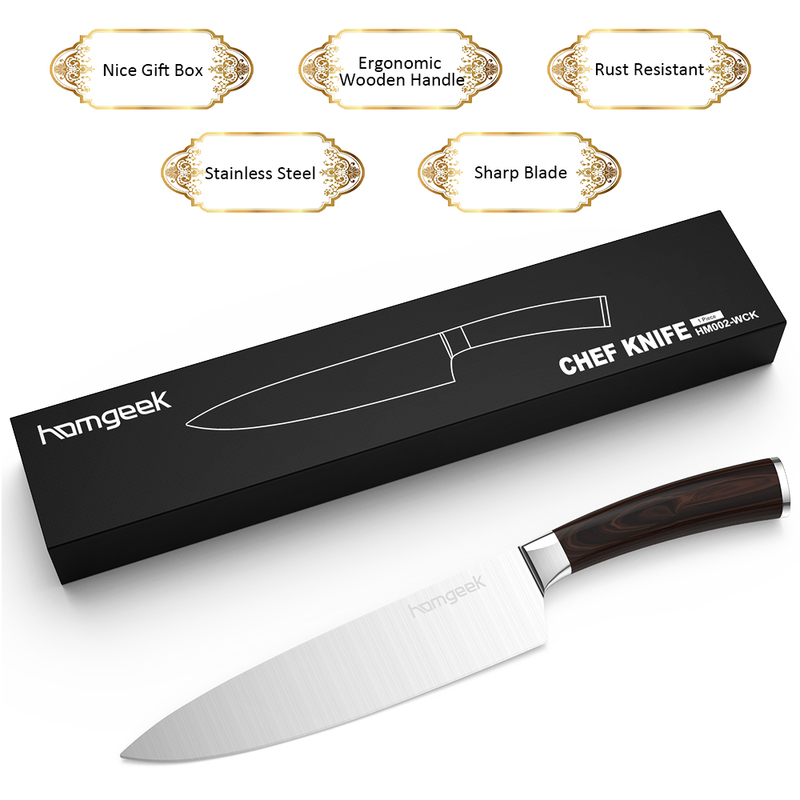 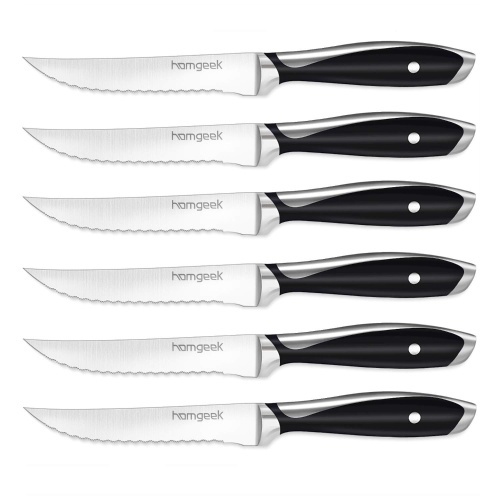 Made of high-quality Germany steel 50Cr15MoV, the chef knife is lightweight yet durable for long periods of use, 8" long blade is sharp, rust-proof and in high hardness, performed well in slicing, dicing, chopping, mincing and more. Lightweight and flexible chef's knife. 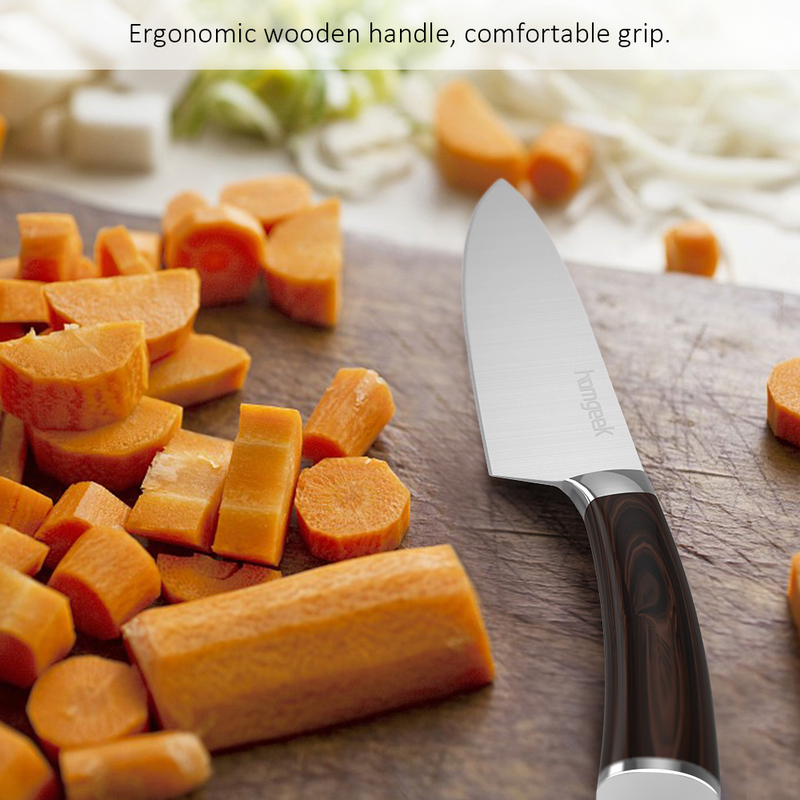 Ergonomic wooden handle, comfortable grip. 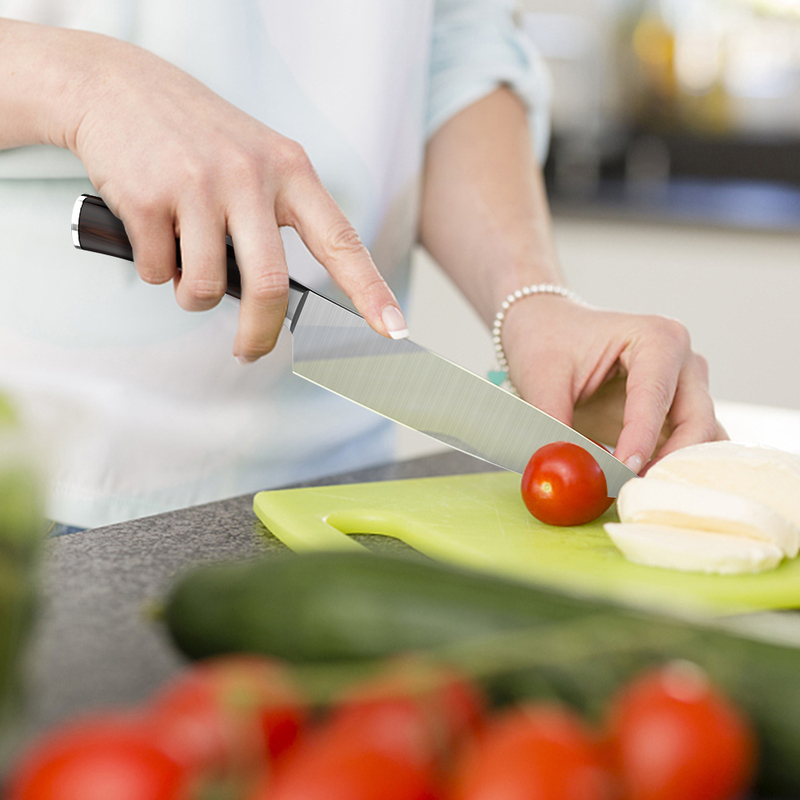 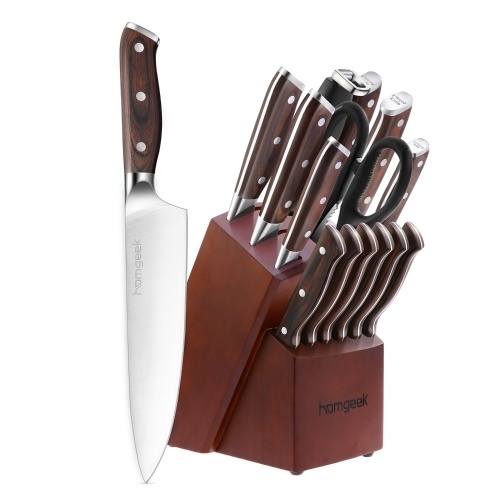 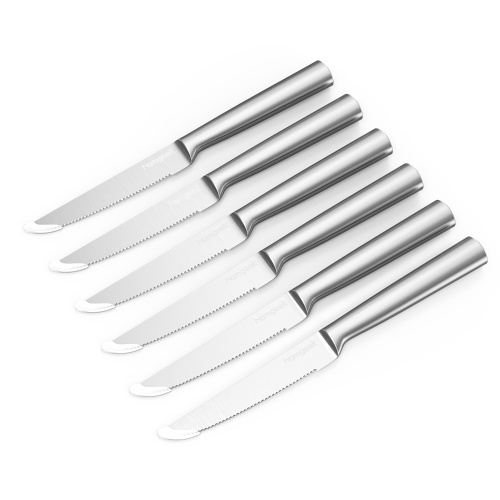 Professional kitchen knife, sharp, durable and easy to clean. 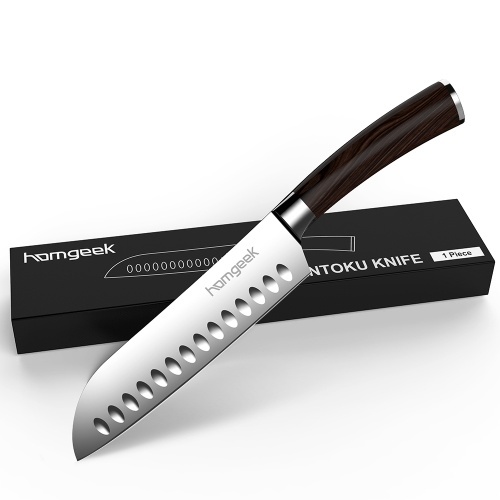 German steel blade, high hardness and high rust resistance. 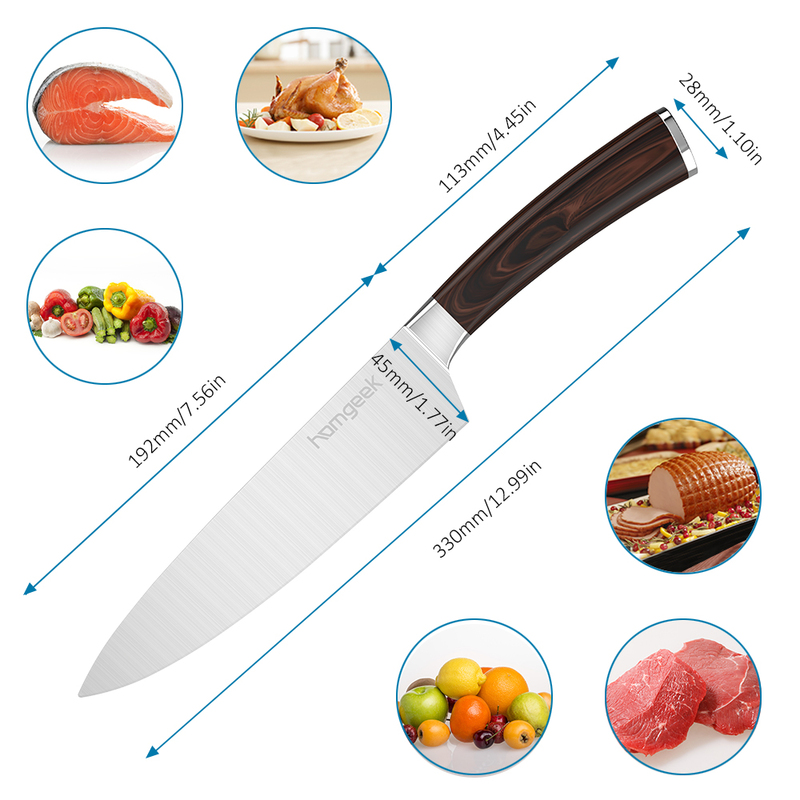 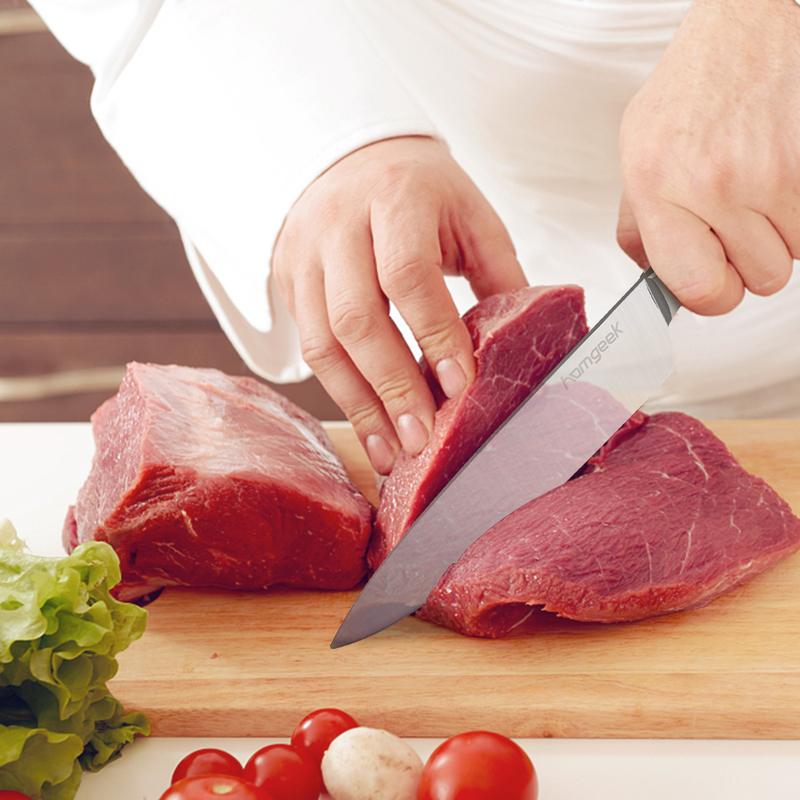 Apply in slicing, dicing, chopping, mincing and more. 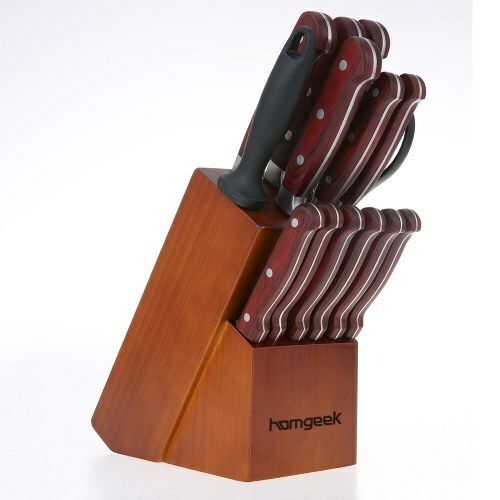 Comes in a black gift case.